We are going to take a different route in terms of how to clean Berber carpet. In fact, before considering to remove a stain, you should first be aware that it is much easier to keep it clean. With that said, the material of Berber is pretty much stain resistant in general. This means that even if some stains get into it, they will not be able to set immediately and deeply. In order to maintain the original beauty and condition of the Berber carpet, there are certain ways to clean it properly. So before installing a Berber carpet in your home, you have to be aware of these certified carpet cleaner tips. For more information, see our carpet cleaner buying guide. This is the case because definitely, the last thing you want is a big stain living at the center of your very elegant Berber carpet. In general, there are three methods on how to deal with the stains on your Berber carpet. The first method is by simply using things that are readily available in your household. The second method is by professional means and might need high-end equipment. The last method is all about measures that you can do in order to prevent having a stain on it. Let us take a look at these methods. You can first try applying cold water. First off, blot the stained area with a paper towel. Make sure that you are not rubbing. Then, you can dampen a clean towel with cold water and blot it directly on the stain. You can then take another dry cloth to blot the wet area. Repeat the steps until the stain is completely gone. Make sure that you blot the outer edges first so that the stain will no longer spread and be larger. Also, prevent any rubbing motions because this will damage the fragile fibers of a Berber carpet. The use of baking soda is a great way to remove moisture from your Berber carpet. At the same time, it can also remove the stain. 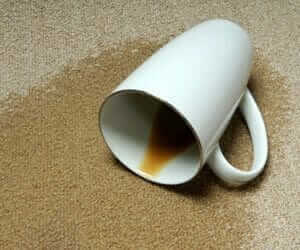 You can skip doing this if the stain did not fully penetrate the carpet. But if it has been there or a long time, it is great to use baking soda. What you can do is to cover the stained area with baking soda until it balls up since it has completely absorbed the liquid. You should leave it there for at least 20 to 30 minutes, depending on the size and the penetration of the stain. Then, you can use your vacuum to remove the baking soda. Repeat the process until the baking soda will no longer ball up because this means that there is no longer moisture. Keep in mind to not leave the baking soda on there for too long so that the stain will not be absorbed the by the Berber carpet. 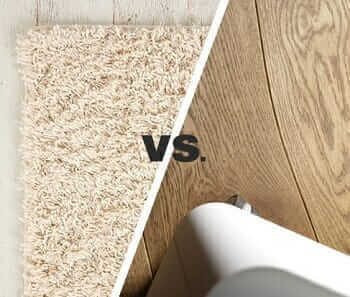 This is the case because a Berber carpet has fibers that are tightly woven and they usually retain more moisture. This results in longer drying time. For all of the different methods and steps we mentioned, you should always follow it up with the use of a vacuum. Doing so will remove the excess moisture and dampness. Just like what we mentioned before Berber carpets tend to retain moisture more than regular carpets so you always have to make sure that there will be no moisture trapped to maintain its cleanliness. The use of a vacuum can also drastically lessen the drying time. When using the vacuum, make sure that you use gentle, slow, and steady strokes so as not to ruin the fabric. You will also see after vacuuming if there are any stains left. Instead of running it over the vacuum again, what you can do is to treat it with cold water and vacuum it again. In general, steam cleaning is the use of hot water in order to deep clean a carpet by way of being able to extract the deeply embedded particles. Before steam cleaning the carpet, you should first vacuum the area so as not to produce muddy stains when water is introduced. Read the instructions carefully for the settings that you should put in. Slowly pull the machine over the area. Make sure that you only go once over the area so as not to oversaturate the stain. Dry the carpet completely to make sure that there is no moisture that can be a breeding ground for mildew, odor, and even mold. You can open windows or directly put a fan beside it. Dry cleaning needs you to apply powder on top of the stained area and using that powder to work through the stain and then this powder will then be sucked back again with the use of a vacuum. This dry powder will pull out the stain and also disinfects that area as well. Make sure that the carpet is fully vacuumed before doing dry cleaning. There are certain types where you need to attach a cleaner brush, but then again, just to be sure just read the instruction for the proper use of your equipment. Work the powder very gently on the stained area and do not press down so as not to embed the stain. Depending on the powder that you are using, you might need to leave it there for at least 20 to 30 minutes. After the leave-in period, you can then vacuum the powder of using a vacuum. This is the most recommended method for cleaning Berber carpets because there is no introduction of liquid which can destroy the integrity of the Berber fabric. This is actually the best route in order to not ruin your Berber carpet. But this will be great for such a huge and deep stain. 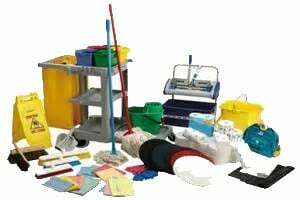 A professional cleaner will then assess the damage and determine the best course of action. You will be assured that your carpet will not be ruined as the professional knows what exactly he or she is doing. You can check out the Institute o Inspection Cleaning and Restoration Cleaning site for this type of service. You should vacuum weekly because this will prevent the build-up of dirt. Make sure to use a vacuum with a high suction that does not have a brush. The use of a brush might snag the delicate fabric of a Berber carpet. If your vacuum has a built in brush, just disable the brush option via the settings. You should also avoid using a beater bar. If there is dirt, you should vacuum it immediately because if it sits too long on the carpet, it will push deeper within the fibers. This will result in harder removal. You can simply do simple things such as removing shoes when going on the carpet or even just placing mats by the entryway. You can also prevent any drinking or eating on the carpet. Keep your children and pets away from the carpet as much as possible. Cover the carpet with additional rugs or pillows. For pets, you can clip their nails so they will not get snagged in the fibers. Just like we mentioned before, Berber carpets are in general stain resistant. This means that you have enough time to get rid of the stain before it completely embeds itself on the carpet. Oils can be much harder to remove because it can be easily absorbed so it is best to use baking soda right away when oils get spilled. But just to be on the sure side, when there is an oil spill, it is best to call a professional cleaner.